Parre is located near the river Serio (1541 feet above sea level). It is on a plateau that covers an altitude ranging from 2000-2500 feet to the 7611 feet of the mountain slopes. 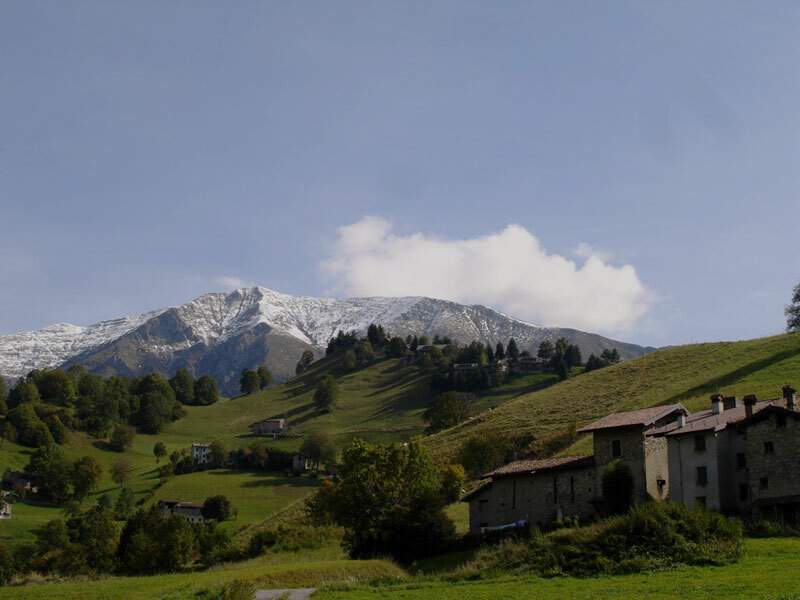 Under the name of Parre Administration are included the villages of Ponte Selva, Sant’Alberto and Martorasco; these villages, that once were autonomous, are located on the right side of the Valle del Serio, along the road to Valbondione, and are now incorporated by Parre. Parre experienced a significant growth in the nineteenth century, when it became a country of general and specialized labor for the blende and calamine mines of Mount Trevasco, as well as the textile mills of Ponte Nossa and Ponte Selva. The name Parre come, according to some, from the Celtic “Paar”, meaning located on a high altitude, spacious. Those theories seem to be confirmed by the archaeological evidence of prehistoric bronze, a sign that the plateau was the site of a human settlement already in ancient times. For others, the name would indicate a “big field”. This thesis could be supported by archeology. The excavations of 1883 and then from 1983 to 1994 would designate Parre as Parra, the oppidum Oroboiorum mentioned by Plinius in his Naturalis Historia. The remains of a camp or residential settlement above Ponte Nossa suggests that this settlements have certainly continued until the Late Roman Period. Submitted before to the authority of the City, created in the twelfth century, and then under the authority of venetian prosecutors, Parre was for centuries a land of farmers and shepherds, whose occupation consisted in winter transhumance to Oltrepò Pavese and to Piedmont, in the valleys of Valtellina in summer, selling wool in Gandino and to other textures of the Valley. The peasant culture then found another expression in crafts and small industry. The wellness achieved hasn’t altered yet the original core of the country, divided into lower Parre (Par sota) and upper Parre (Par sura).